Out of the Hay and into the Hops explores the history and development of hop cultivation in the Weald of Kent together with the marketing of this important crop in the Borough at Southwark (where a significant proportion of Wealden hops were sold). A picture emerges of the relationship between the two activities, as well as of the impact this rural industry had upon the lives of the people engaged in it. Dr Cordle draws extensively on personal accounts of hop work to evoke a way of life now lost for good. 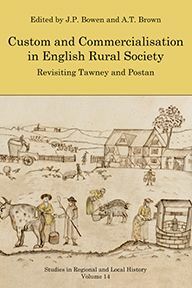 Oral history, together with evidence from farm books and other sources, records how the steady routine of hop ploughing and dung spreading, weeding and spraying contrasted with the bustle and excitement of hop picking (bringing in, as it did, many itinerant workers from outside the community to help with the harvest) and the anxious period of drying the crop. For hops, prey to the vagaries of weather and disease, needed much care and attention to bring them to fruition. In early times their cultivation provided work for more people than any other crop. 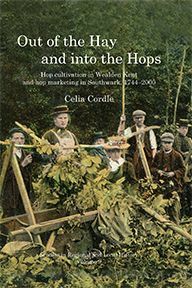 The diverse processes of hop cultivation are examined within the wider context of events such as the advent of rail and the effects of war, as are changes to the working practices and technologies used, and their reception and implementation in the Weald. Meanwhile, in the Borough, an enclave of hop factors and merchants, whose interests sometimes conflicted with those of the hop growers, arose and then suffered decline. 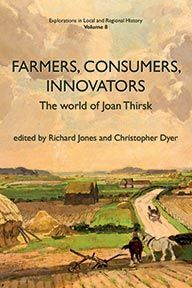 A full account of this trade is presented, including day-to-day working practices, links with the Weald, and the changes in hop marketing following Britain's entry into the European Economic Community. 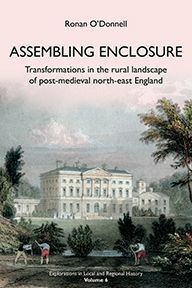 Celia Cordle studied English Local History at the University of Leicester and was awarded her PhD in 2006. 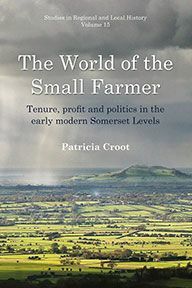 Her doctoral thesis won Kent Archaeological Society's inaugural Hasted Prize in 2007.